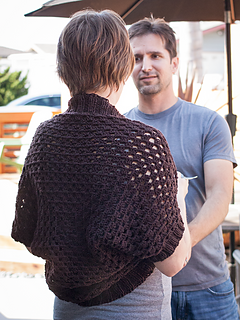 This shrug is crocheted from the center of the back out to the neckline. 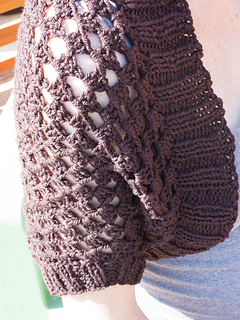 The collar and cuffs are picked up and knitted. 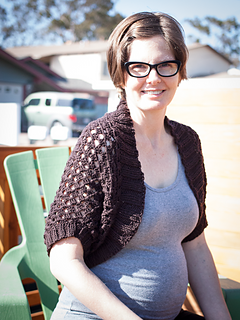 Be sure to use an elastic bind off such as Jeny’s Surprisingly Stretchy Bind Off for the collar edge.